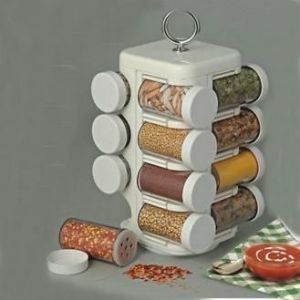 This revolvingrack offers you easy access to spices without taking up a lot of counter space. 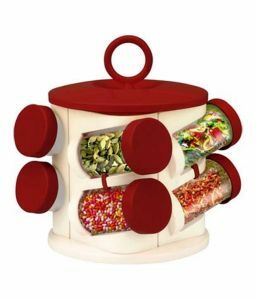 It holds 8 jars in slide-in-slots that keep the jars in place even with therack is rotated. 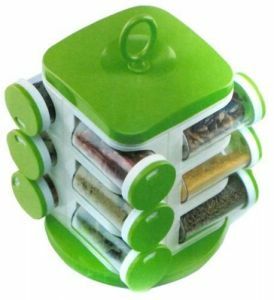 Each clear plastic jar features a spice-identifying lid so youll always know you have located the right ingredient. 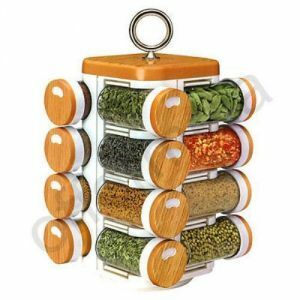 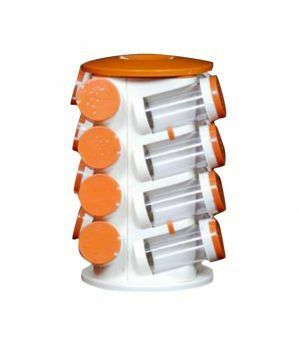 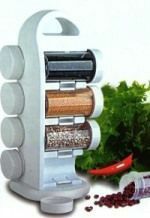 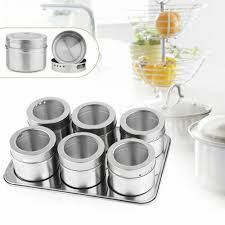 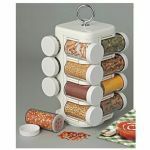 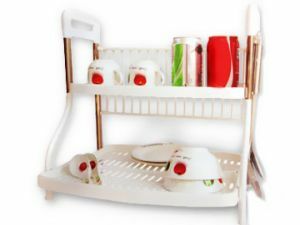 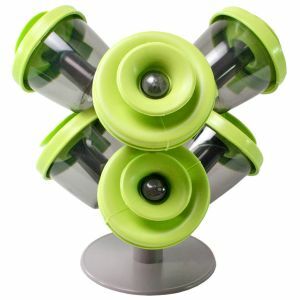 Other FeaturesThis Sleek and Stylish Product neatly arranges Spices, Herbs and Seasonings of Daily use in a small space.